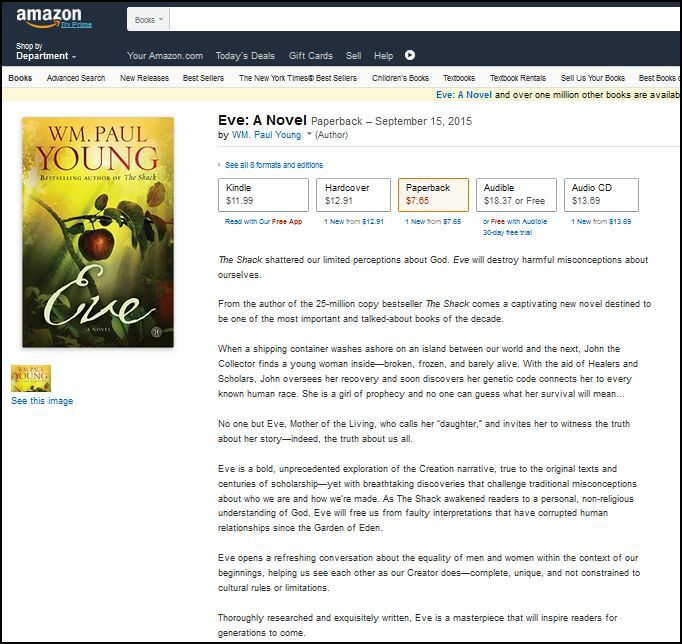 (UPDATED 8/17/15 See added information and video of Wm P Young speaking about his new book ‘Eve’ below). Though I am not among the many who are addicted to Facebook, I must admit that I am growing to appreciate the many suggested posts that are generated by Facebook for me to check out. The above picture caught my attention a few days ago, and upon reading what William Paul Young (WPY) said concerning The Shack “proposing a fundamental paradigm shift,” I decided to do some research on his newest novel —Eve. William Paul Young is a professing Christian, and yet, as you can see in the quick capture below, he claims that even though “the story is fiction,” he goes on to say that the conversations in The Shack are: “…very real and true.” “…all real, all true.” Thus he is claiming that the messages presented in The Shack were given to him by God, which will lead people to believe that God speaks outside of His Word and still gives new revelations today, and will cause people to be lured into mysticism through Spiritual Formation and Contemplative Prayer. (Lord willing, I will be addressing mysticism in another post later on this year). Papa: “I don’t need to punish sin. Sin is its own punishment, devouring you from the inside. It’s not my purpose to punish sin; it’s my joy to cure it.” (Page 119-120) (SOURCE)<- Click here to read more). (Please read the reviews posted under ‘Further Reading’ for much more information). WPY’s new book ‘Eve‘ will undoubtedly once again capture the hearts and minds of those who choose to read it. His creative way of putting a story together, as well as his ability to create characters that cause the reader to bond with them — sometimes on a very deep and personal level — will definitely affect certain Christians and their ability to discern, and even more so, will captivate the many people who are not Christians and are searching for hope and comfort because they have gone through deeply tragic circumstances in life. Those who choose to read Eve and have no knowledge of Biblical truth whatsoever, will begin to embrace not only a message that will most likely be contrary to Scripture in many ways like The Shack, but also they will very likely be presented with a God who will appeal to their sinful nature as well as to their flawed human reasoning, and therefore they will not view Him as the just and thrice Holy God that He truly is, as revealed throughout Scripture. By saying this, it implies that The Shack reveals a clearer understanding of who God is, which leads people to seek after new revelations, and leads people away from seeking God in His Word. However, remember that it claims to be a work of fiction. At this point one can only speculate as to what those “harmful misconceptions about ourselves” may be, and what messages will be presented to the readers concerning what we are to believe about ourselves since the book has not yet been released. 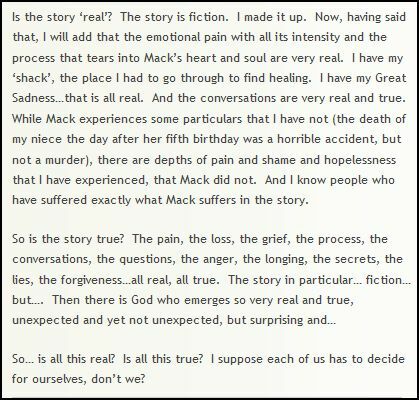 However, we can assume from how some people reacted after reading The Shack, that Eve will also alter and distort the beliefs — as well as Biblical truth — in the minds of many, as they will, once again, be emotionally moved by WPY’s powerful ability to present a story that can touch the heart, and characters whom readers can deeply connect with. Reading the description of ‘Eve‘ also seems to indicate that New Age beliefs will be presented to those who read it, just as there were New Age beliefs woven throughout The Shack. (See the first three articles below under ‘FURTHER READING’). While many of us as Christians have compassion for WPY because he was sexually abused by his father when he was a child, and because his niece died in a horrible accident the day after she turned five, we must speak out and warn others about The Shack. WPY presents a God who will save everyone, thus he is presenting the people who read this book with the false teaching of Universalism. Anything that presents itself as being “true to the original text” and yet also claims to be a work of fiction will undoubtedly be a mixture of truth and error which is where all deception begins. I will not judge William Paul Young’s heart or his motive for writing Eve, but just as The Shack changed some people’s perception of God, the messages that will subtly be embedded within the pages of Eve will undoubtedly be another attempt to undermine the truth in God’s Word, and will sadly end up changing how many others view God and the truth presented in Scripture concerning Jesus Christ and the gospel. **UPDATE 8/17/15 2:33 p.m. ** Please watch this video to hear all that he has to say. ‘Eve’ may be another work of fiction like ‘The Shack,’ but sadly many will again adopt some of his ideas as part of their belief system concerning God and the Bible. He states that it’s a work of “fiction,” but for him to say that he’s “looking at the spaces in between what’s given us,” it’s as if he’s hiding behind his claim that it’s a work of “fiction” to give him the freedom to add to the truth that is recorded in God’s Word without any consequences. However, since he claims to be a Christian, I believe that God will hold him accountable for misleading people by adding to Biblical truth in such a way that it will cause many to get a completely unbiblical view of who He is and who we are. He may be a very good writer and have the ability to create characters whom the reader will quickly connect with on a very deep and emotional level, but he should stay away from writing about anything that could mislead someone from the truth recorded in God’s Word. Okay, I’m done venting now. I will be praying for William Paul Young, and hope that you will too! Let’s commit all of this to God and pray that many will be led to read the Bible for themselves because of his book ‘Eve,’ and that God will give many eyes to see the truth that is in His Word. (End of update). The release date for Eve is set for September 15th 2015, but this blogger here has no intentions of purchasing one. 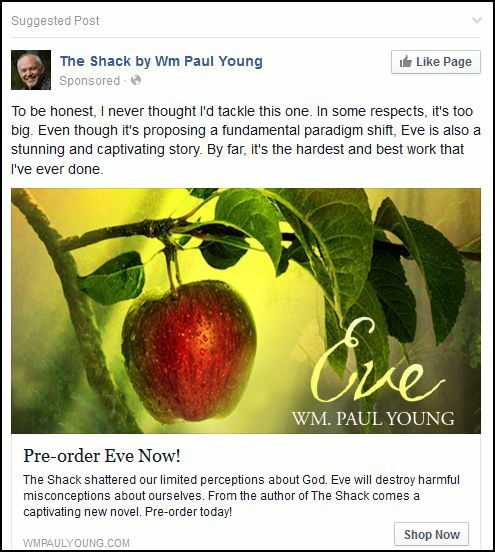 It is my desire only to send out a strong warning to those of you who have embraced the unbiblical view of God as presented in The Shack, and to warn all of you of the possible spiritually deceptive messages that may be lurking within the pages of Eve –especially those of you who are among the many who are eager to purchase it. 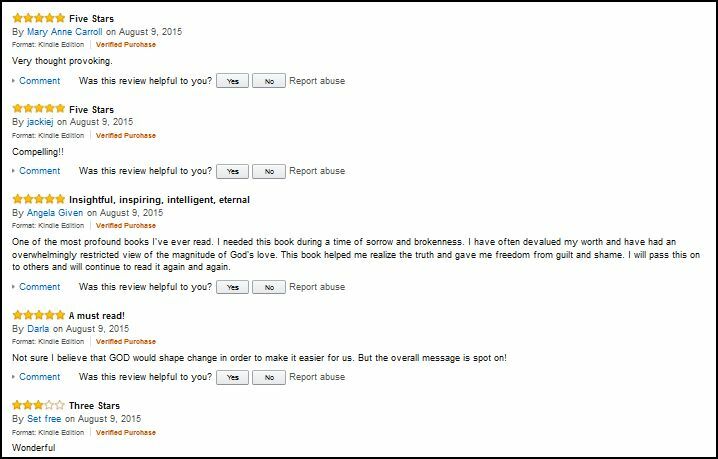 Lord willing, when Eve is finally released, I will be watching for some reviews written by Christians and will add them to this post so that you will be aware of any serious problems that may be in this book. Before finally publishing this post, I did a search to find further resources to share with all of you concerning the many dangerous problems with The Shack. When time allows, I hope that you will read the articles, as well as listen to the information in the videos and podcasts so that you can become aware of the theological problems, as well as the New Age teachings, that are woven throughout the book, and so that those of you who earnestly contend for the faith can be better equipped to share Biblical truth in love with those who have been ensnared by the God that is presented in The Shack. When we see so many people finding a false comfort and a false understanding of who God is through reading books like The Shack, it should make us as Christians realize the deep need for us to reach out to those around us who are deeply hurting and share true hope and healing that can only be found through receiving Jesus Christ and the salvation that He provided for us when He died in our place on the cross, and through the truth that can be found in God’s Word, the Bible.